Lyre-leaved sage is another member of the mint family (Lamiaceae). In full bloom, the height of the plant is 1-2 feet. The stalk of flowers arises from a basal rosette of deeply (pinnately) lobed leaves. The tube-shaped flowers are blue to purple and about an inch long. The flowers grow in whorls around the square, hairy stem. This plant has been used medicinally as a tea and a salve. Other common names include cancer root and cancerweed. 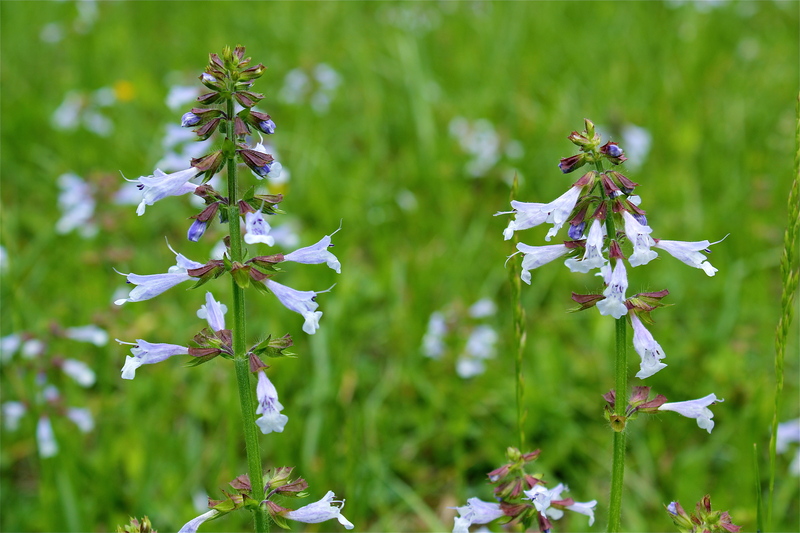 The photos below include a field of lyre-leaved sage blooming in May at Falls Ridge Preserve–it was just beautiful–even though some would conclude “this plant can be invasive“! Bloom time is April to June. Robert said he really likes your wildflower website too. Your amazing photography continues. oh, that’s nice to hear! thanks!